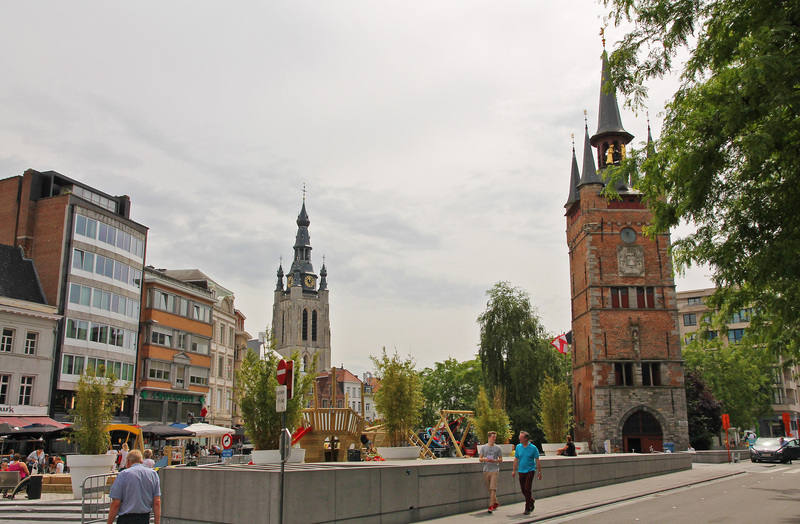 Kortrijk is only a 45 minutes drive from our home town, but then again: it’s a small country, so any place in Belgium is pretty close-by for us. 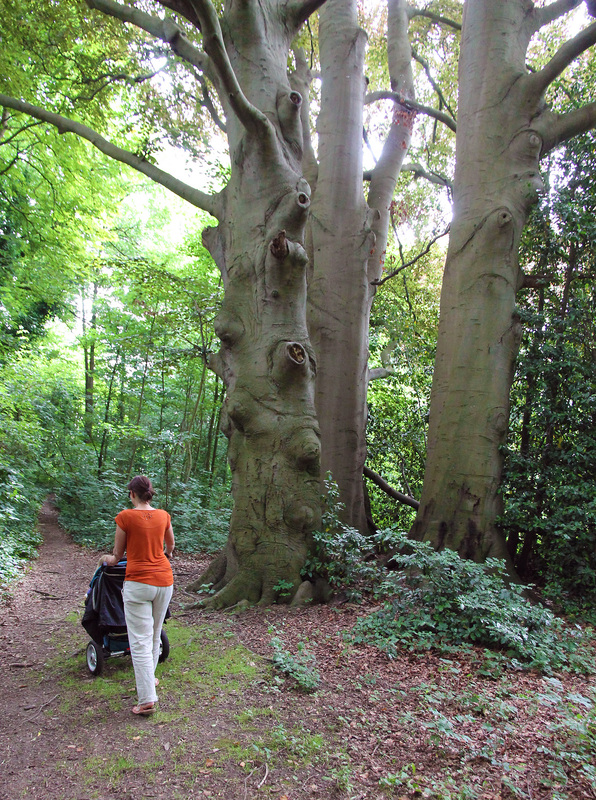 The whole family was there: mommy, daddy, Febe and our dog Túrin. Parking is easy here: the city has multiple parking lots. We took the Parking Broeltorens on the Buda island in the centre of the city: it’s perfectly located for a tour along the city’s highlights. 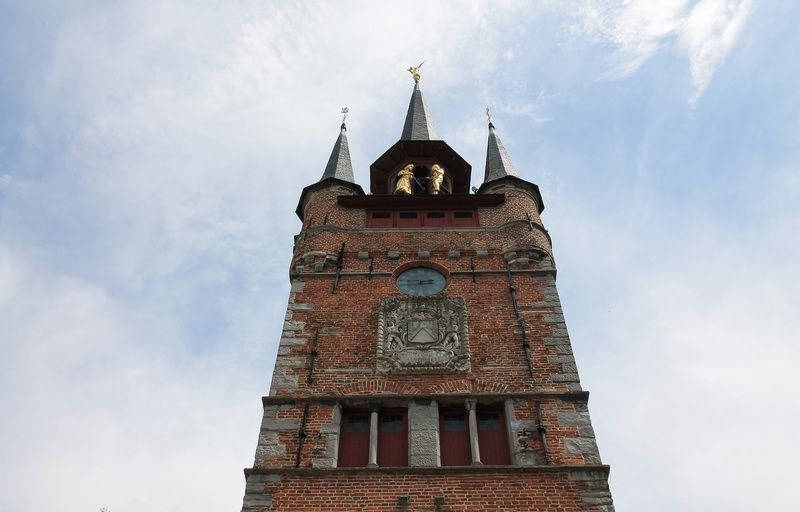 Obviously, our first stop was at the twin Broeltorens (Broel towers). 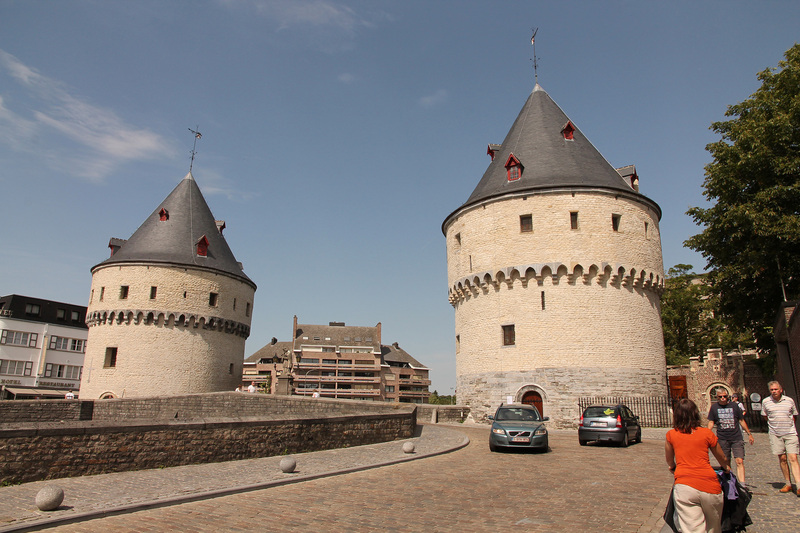 Both towers used to be part of the medieval city wall. 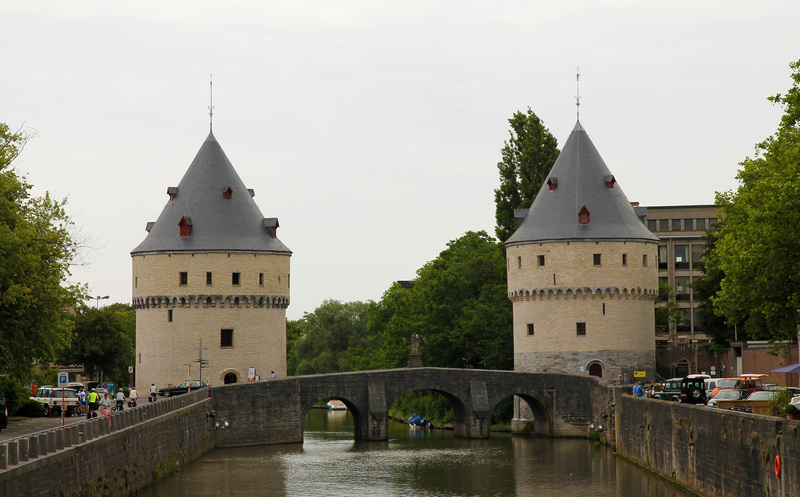 The southern tower was also part of the former castle of the counts of Flanders (14th century). They are probably the most iconic buildings in Kortrijk. Broeltorens and bridge over the river Lys. Broeltorens, as seen from the next bridge. One of the towers, with the statue of John of Nepomuk. We crossed the bridge between the towers and went up to the church of Our Lady. This church houses a Van Dyck painting ànd (a replica of) some golden spurs from the battlefield of the battle of the golden spurs in 1302 between Flanders and France (Guldensporenslag). We didn’t go inside though. 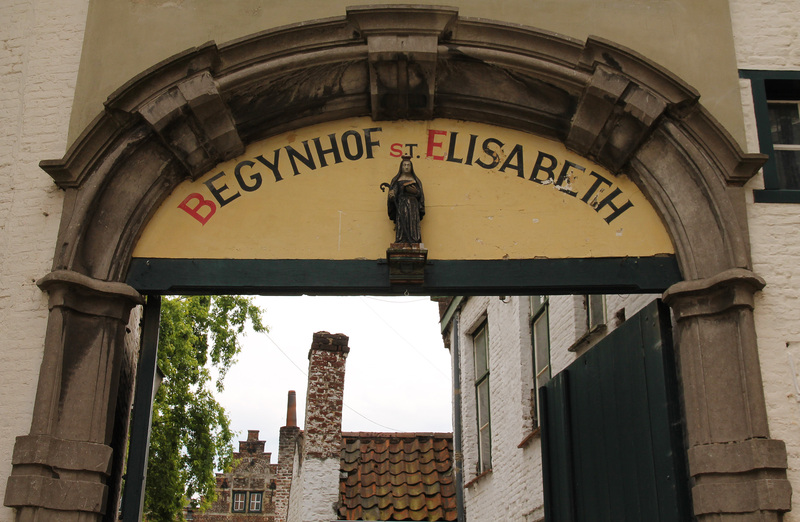 We just passed it to get to the béguinage at theBegijnhofpark. In contrast to any other béguinage we visited, the one in Kortrijk is quite small and doesn’t have a central lawn. 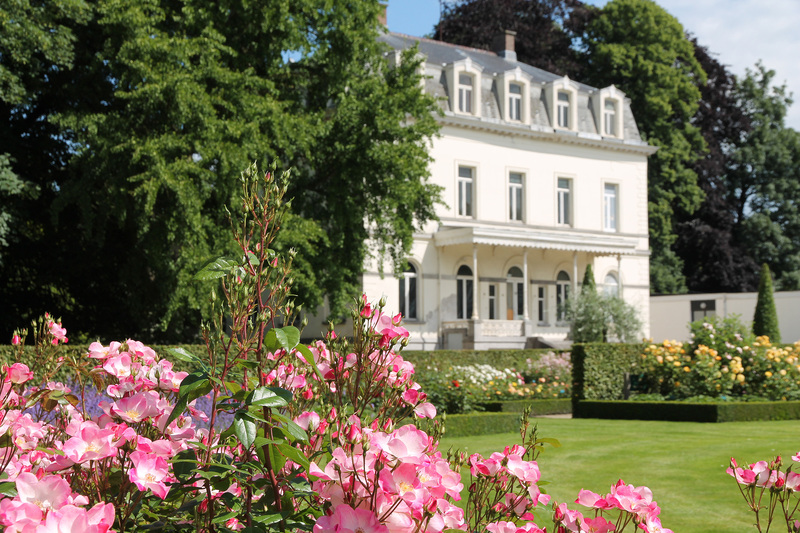 It is nevertheless very beautiful and superbly quiet (a quality you find in all béguinages btw). 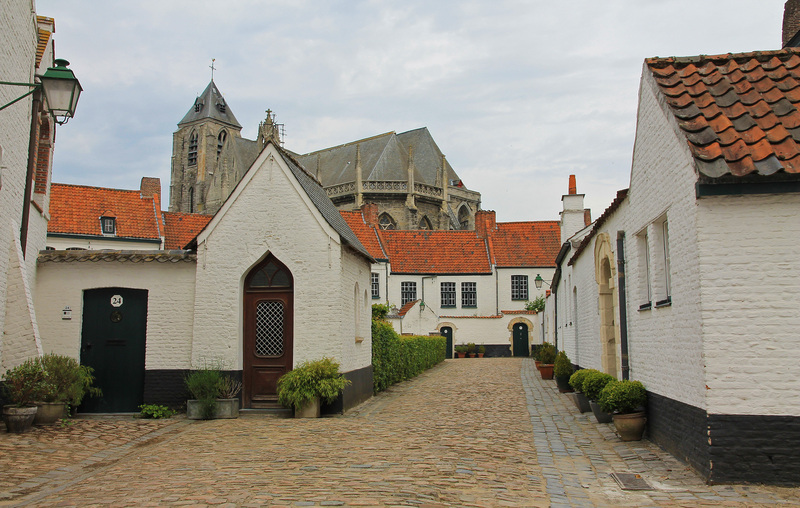 Inside the béguinage, with a view on the church of Our Lady. 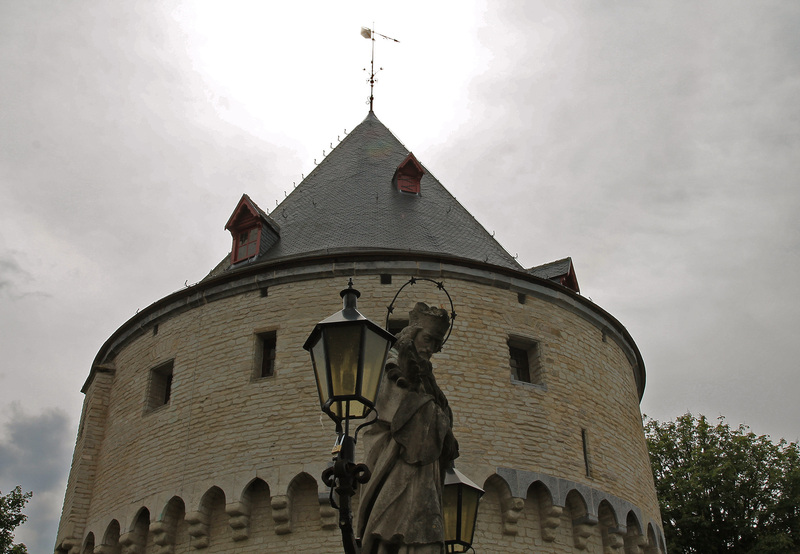 Top of Saint Martin’s tower, as seen from te béguinage. 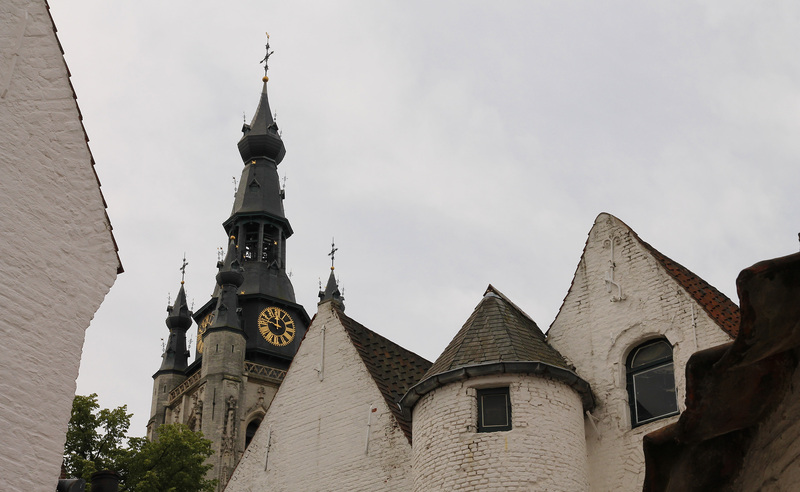 From the béguinage, we went straight to the Grote Markt (main square), where we immediately came across the belfry, which is also quite small compared to its colleagues in other Belgian and French cities. 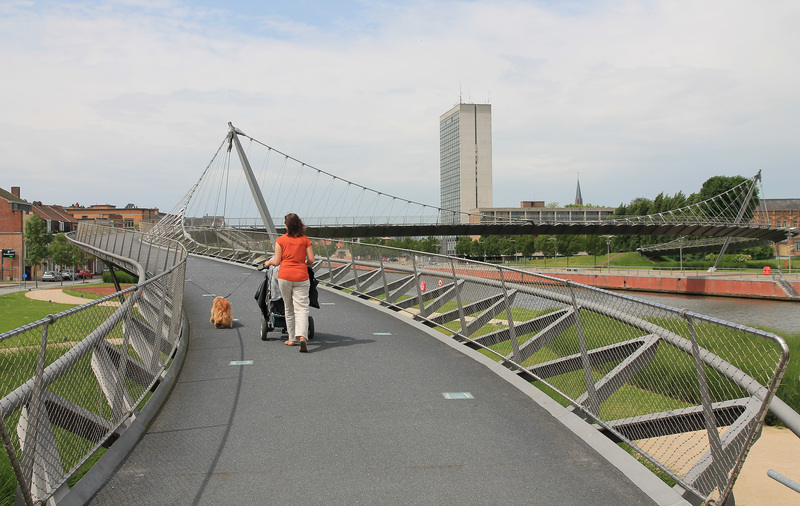 This is the essence of Kortrijk: it’s not a big city, but very cosy and easy-going indeed! 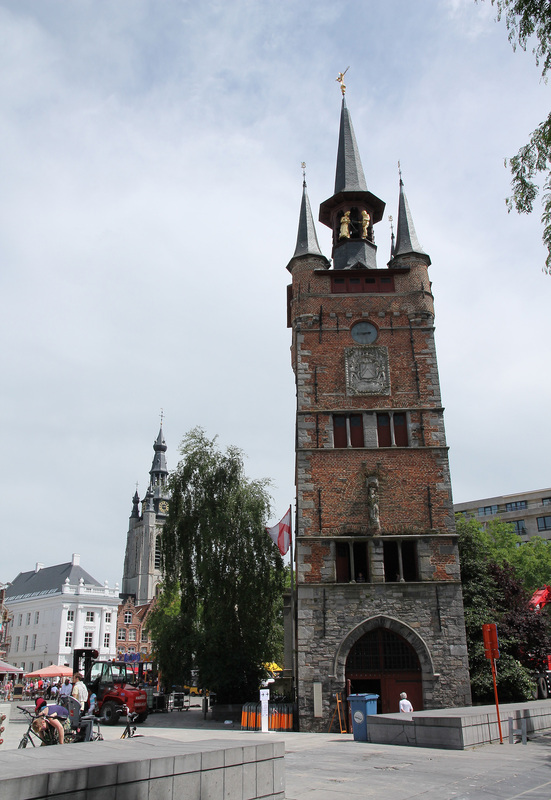 The medieval city hall is also located on the main square. 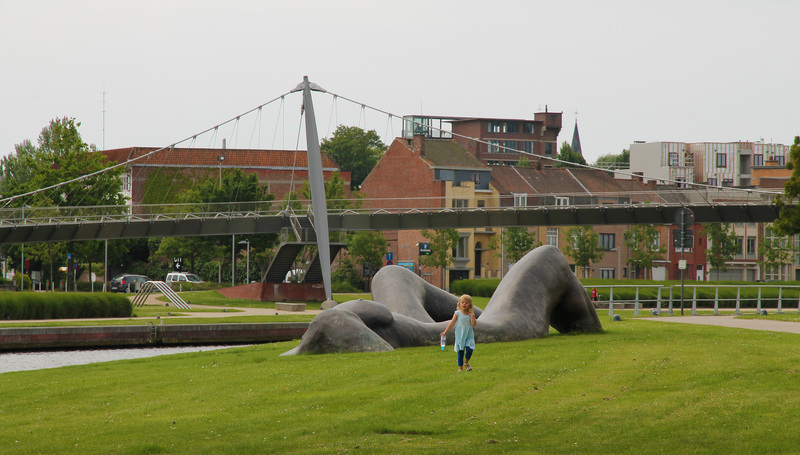 We went back to the central Buda island, the place to be for modern art, and crossed the river Lys from there via one of the modern bridges. 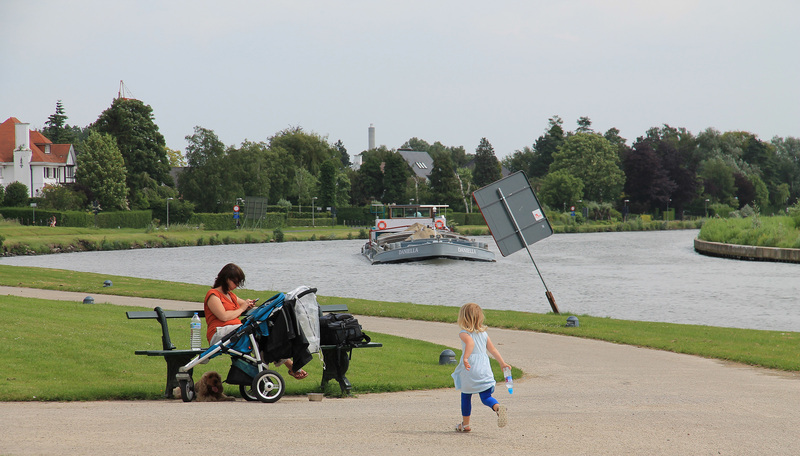 We took a rest in the King Albert park on the banks of the Lys. 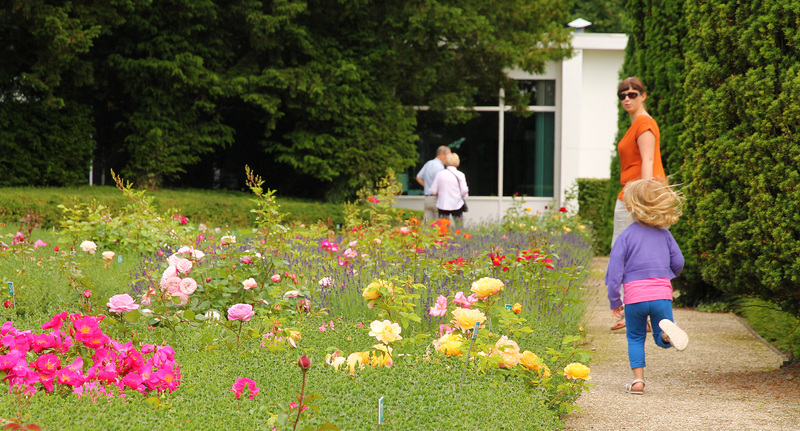 The perfect place for a pic-nic if you ask us! Art in the King Albert park. Relaxing at the banks of the Lys. Afterwards, we went back to the main square for lunch. 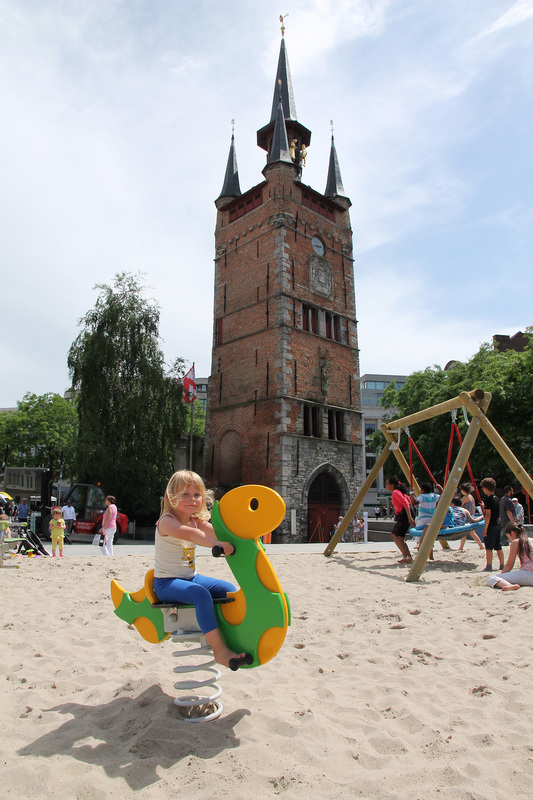 There are many terrases to choose from, and the city installed a playground/sandpit in the middle of the quare for the children. This was just perfect for us! Febe could eat-play-eat-play… Moreover, there was also a carrousel in one corner of the square, which provided for the perfect start of the afternoon. 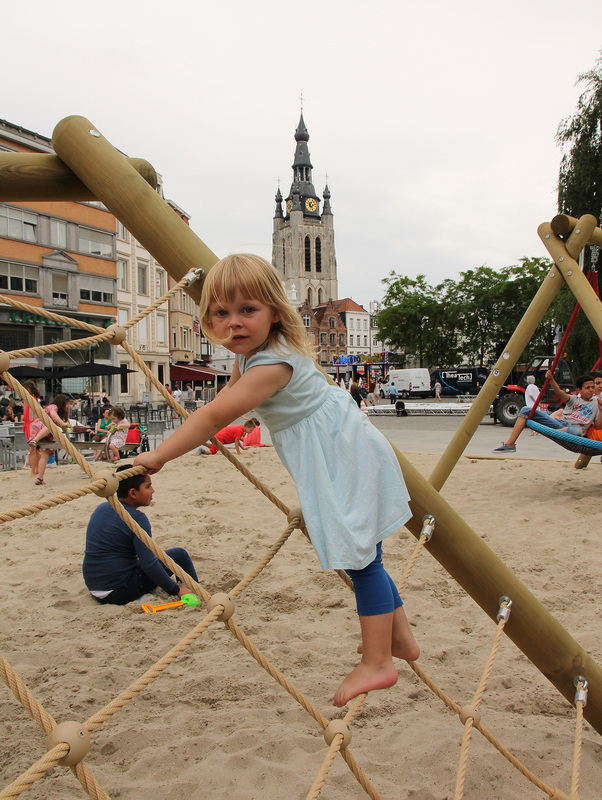 Kortrijk is truly a family-friendly city! 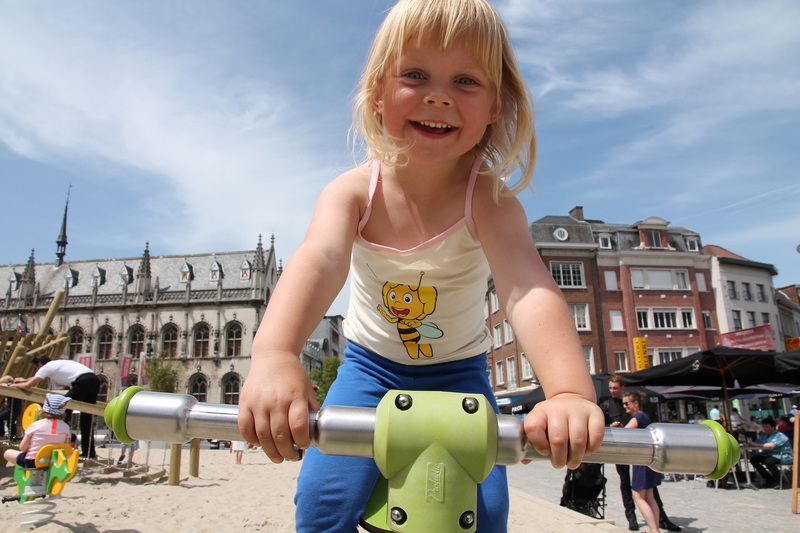 Playing on Kortrijk’s main square. St-Martin’s tower in the back. Playing in front of the belfry. Real happiness, with the city hall in the back. 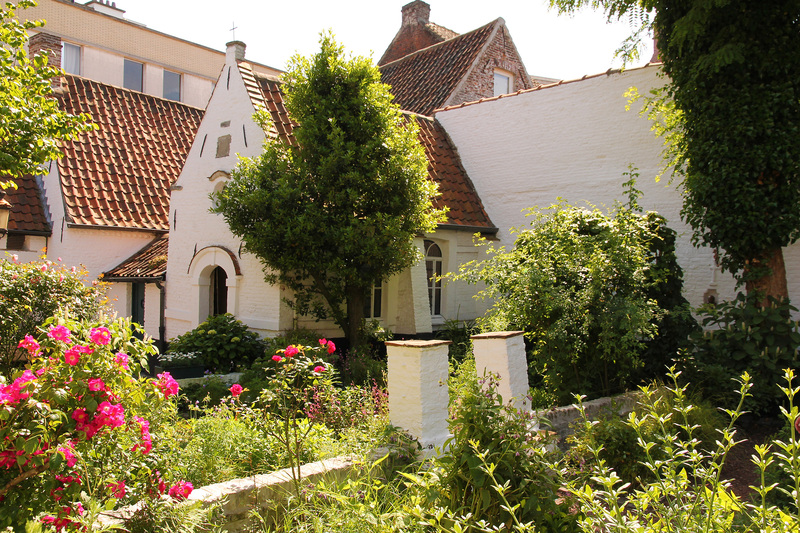 In the afternoon, we went to the Baggaertshof, a collection of small medieval houses and a chapel around a central courtyard with a medicinal herb garden, dating back to the 17th century. 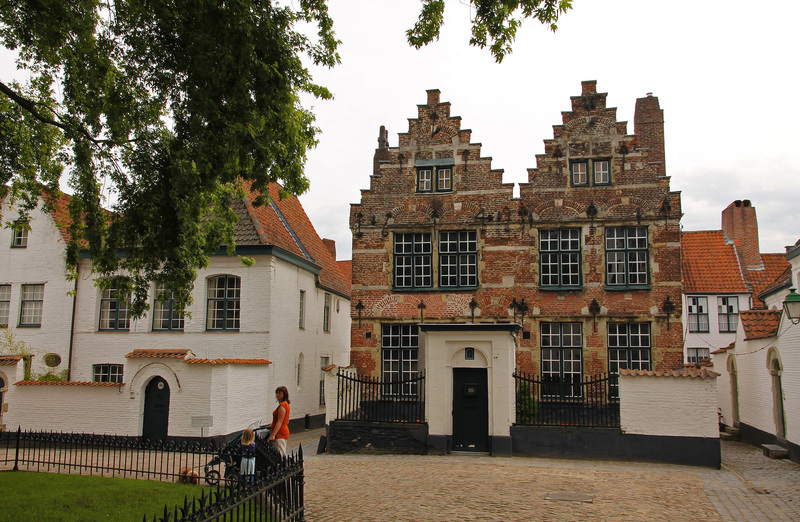 Originally, the baggaertshof was founded by the Baggaert sisters, who built the houses for needy women (poor widows and unmarried women). 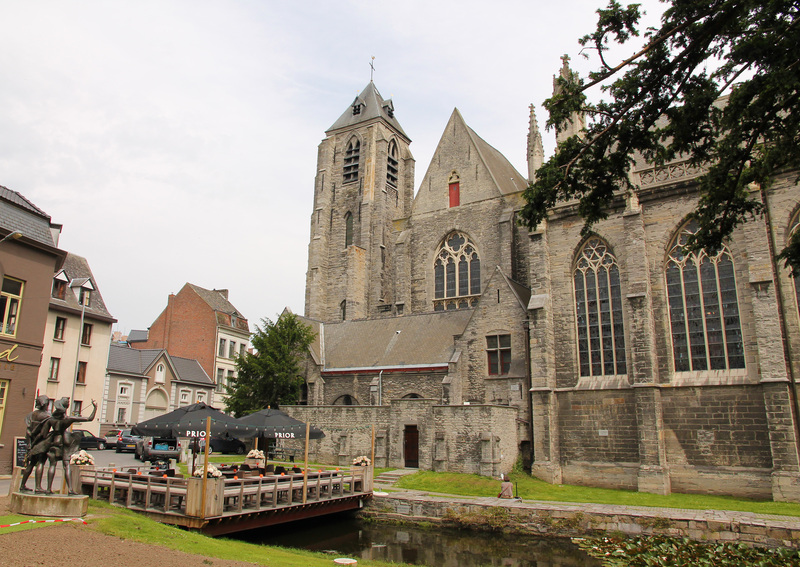 Personally, this was my favourite place in Kortrijk, because of its intrinsic beauty and quiet atmosphere. 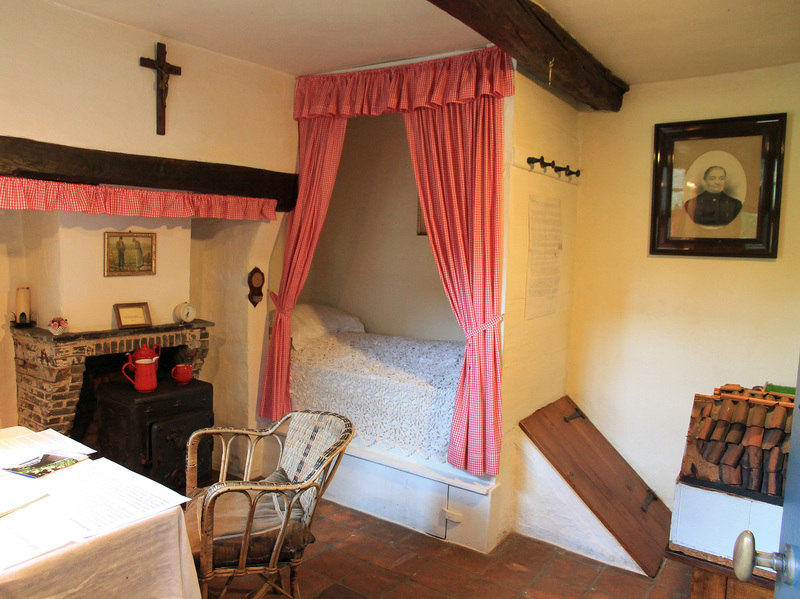 The interior of one of the small houses. 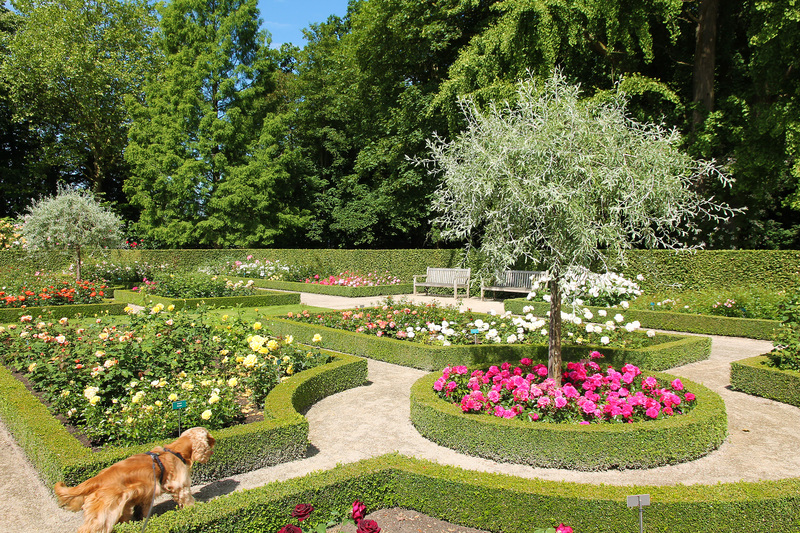 The herb garden of the Baggaertshof. 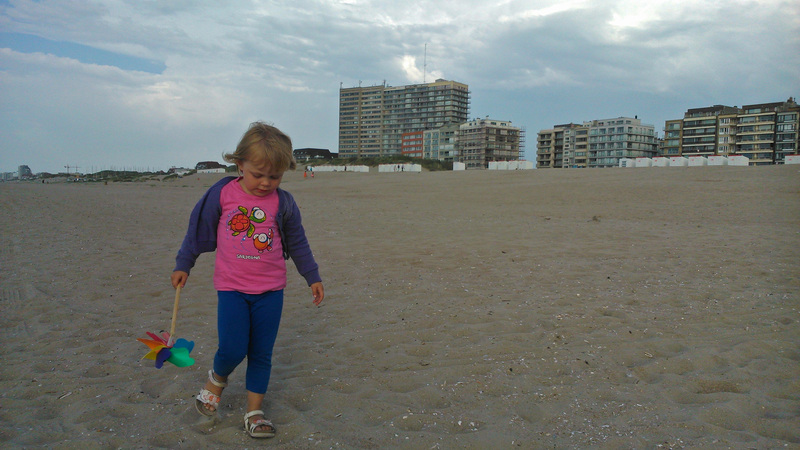 Later that afternoon we went to the beach, which is not that far away either! 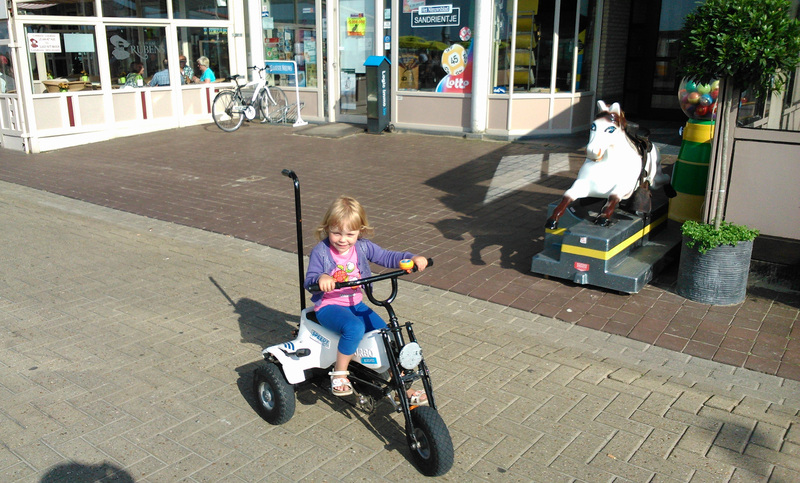 We also enjoyed some great seafood here and Febe drove with her first ever go-cart! 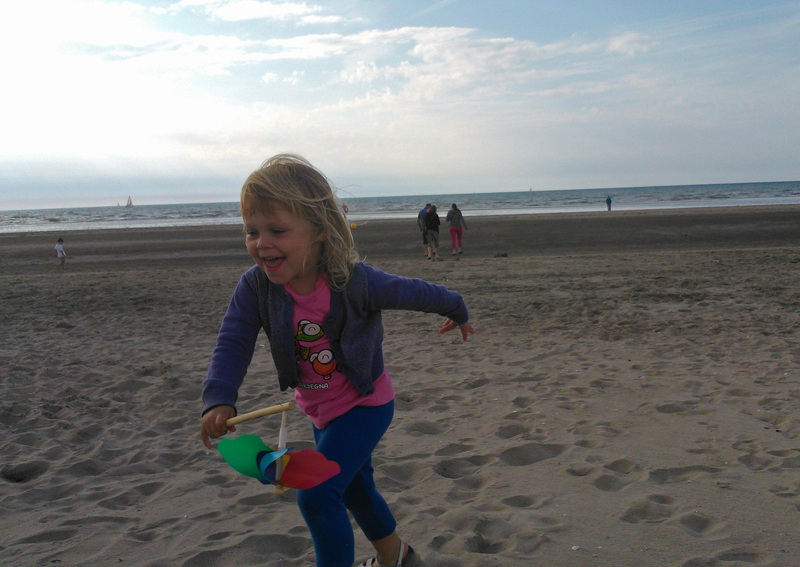 Big fun at the sea. 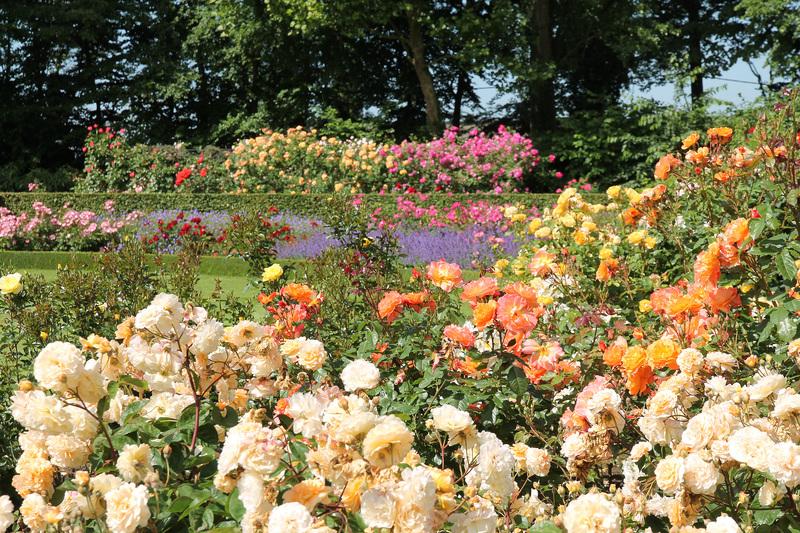 On day two of our stay in Kortrijk, we went to the beautiful international rose garden and the Kennedypark around castle ‘t Hooghe. 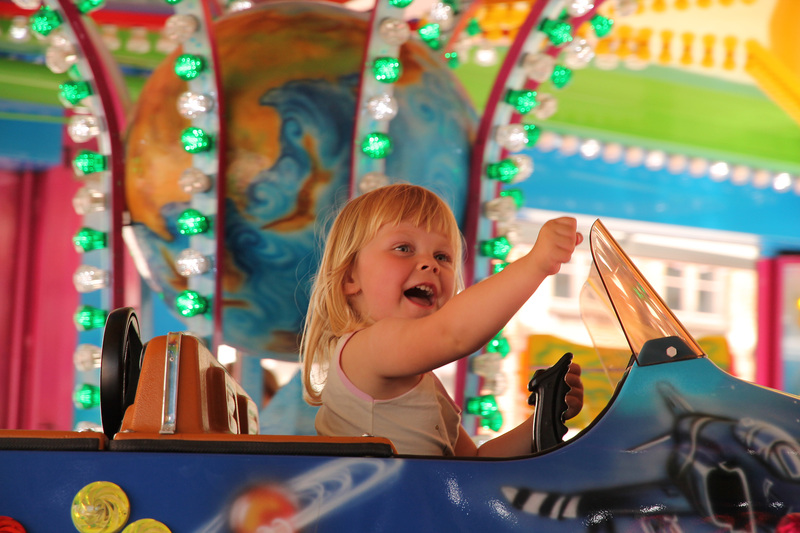 Both are situated just outside of the city, but are certainly worth a visit. 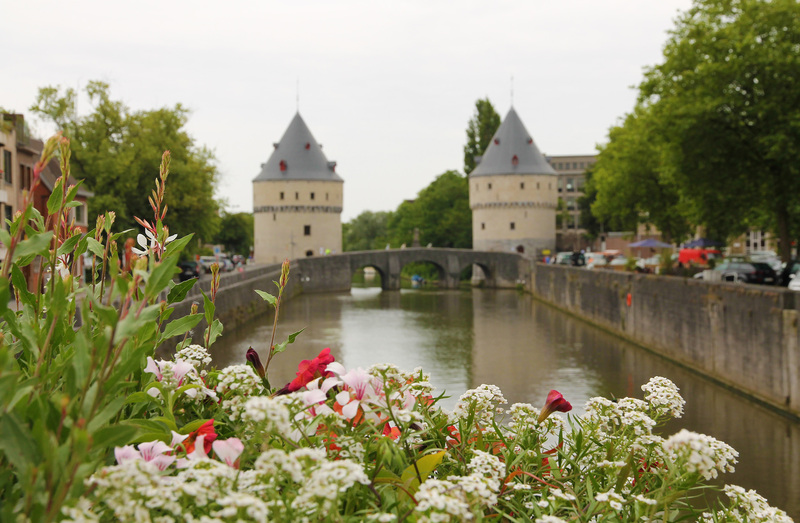 I must add here that the city centre of Kortrijk is also very green: there a lot of small parks and gardens for a moment of relaxation! 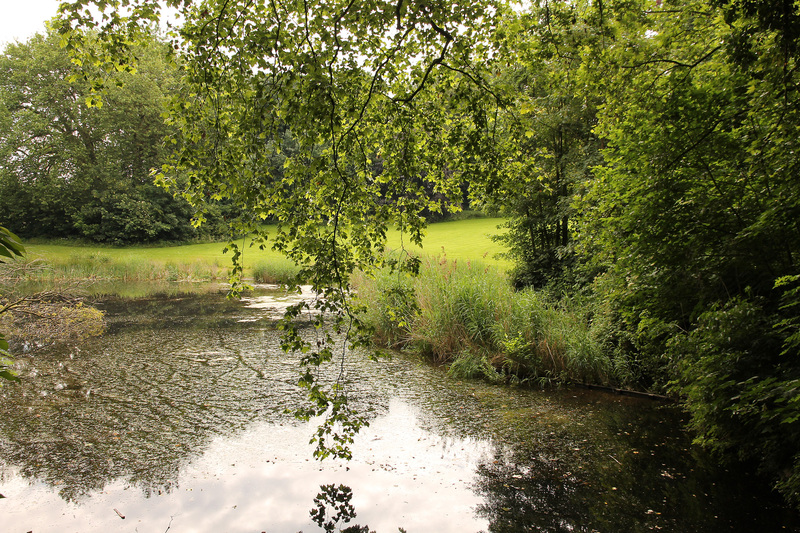 Park at castle ‘t Hooghe. 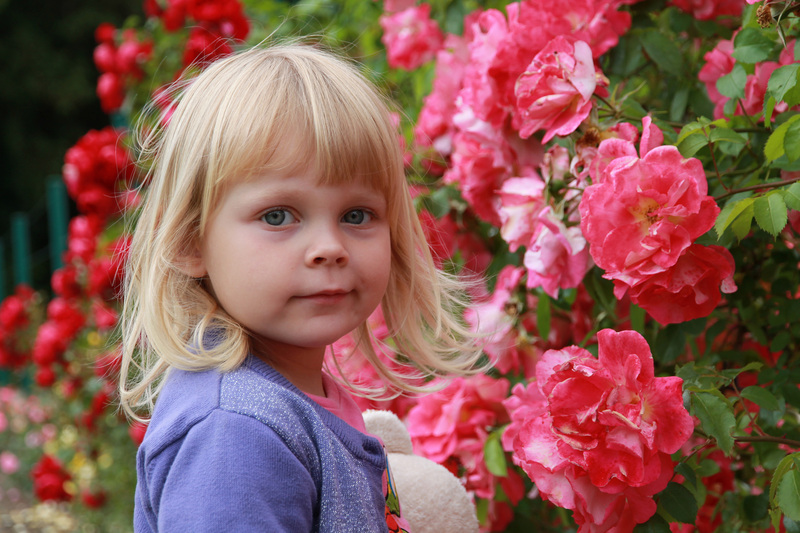 Mommy and Febe in the rose garden. 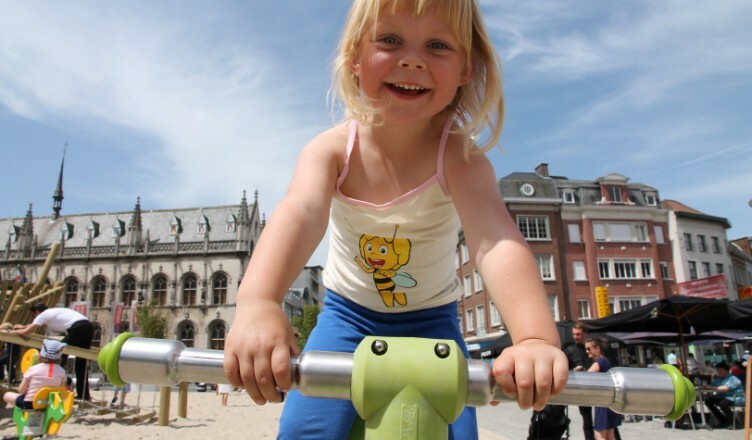 If you like your city small, historical, green and child-friendly, Kortrijk is the place to be!